I also use it while masking and the result is excellent. Made in Korea, this product itself is retails at RM 180. Once our skin is prep, its time to start painting our face. 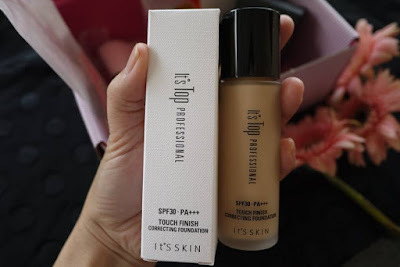 It’s my first time trying out the It’s Skin It’s Top Professional Touch Finish Correcting Foundation. The foundation comes in glass bottle, just like many high end brands in the market. 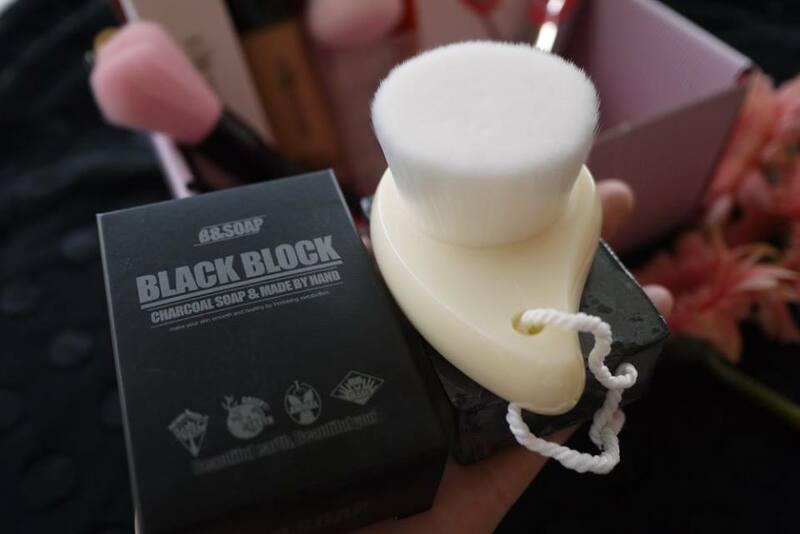 The packaging is so unique as it comes with a ‘Pro Master Tip’, where the narrow tip precisely targets dark spots with better coverage, and the sider side tip makes it easier to evenly apply the foundation on face. The foundation has a secret hole designed to control the optimal amount so we don’t have to worry about wastage. It’s Skin It’s Top Professional Touch Finish Correcting Foundation’s texture is so perfect, not too thick and not too light. 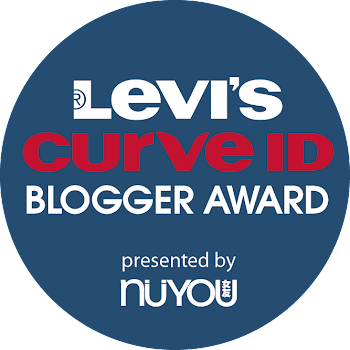 It made my skin flawless without feeling too thick. I am amazed with the result, strongly recommended to all of you. There are 2 tools to help applying It’s Skin It’s Top Professional Touch Finish Correcting Foundation. Firstly, the COC Pro Skin-adhering Foundation Brush. The Brush is in ergonomically designed to apply evenly on face. Its soft and dense bristles deliver perfect coverage, not leaving any streaks onto the skin. 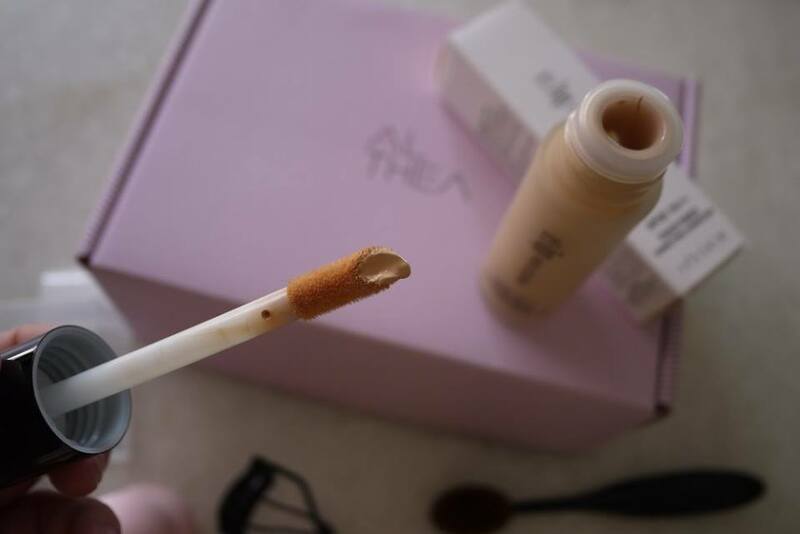 With the long holder, it is really easy to apply foundation evenly on our skin. Secondly, the IT’S ME Magic sponge in pink. 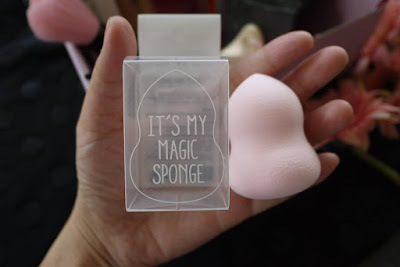 The sponge is so cute in pink, and it can reach any nooks and crannies of our skin with the tip. We could also dampen the puff for glowy, dewy finish. Now the foundation is done, it’s time for colors! I fell in love the first sight with COC Lovely Pink Heart Multi Volume Brush. 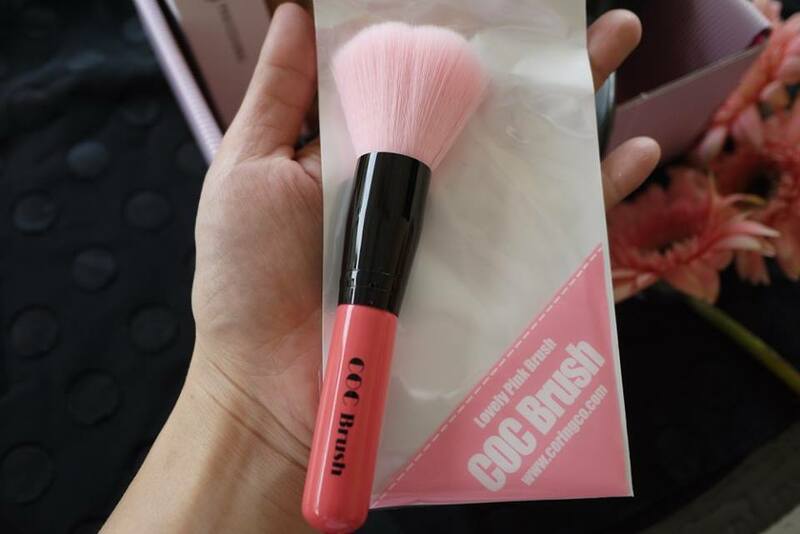 The pink heart shape brush is so adorable, and it has multi usage as a powder, glow, highlight, blush and contour brush. 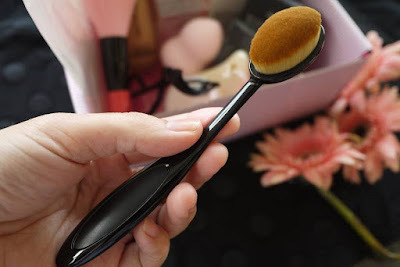 The brush is so fluffy and comfortable to use on skin. 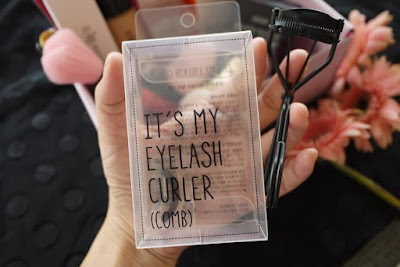 Last but not least, put on my mascara with IT’S MY Eyelash Curler_Comb. The eyelash curler is so unique that comes with a built-in comb to prevent any clumps for perky lashes as if you already put false lashes. It comes with a free replacement pad so we could use the curler for a long time. Overall, I am really satisfied with the Althea Make Up Tool Box. It contains all the useful stuff for daily use, and I would strongly recommend you all to get it too. Remember to bookmark Althea page for more exciting shopping experience. It was indeed a super deal for you. And to see all those standard sized products!! 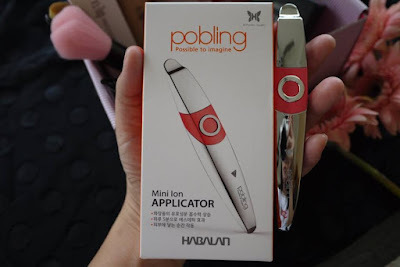 Got my eyes on the pobling mini ionizer think I'll give it a try. Age is catching up. The items in the beauty box looks really good and useful! The b&soap set sounds interesting and I would want to try it too! Althea has always managed to surprise us with the beautiful and very beneficial items! Yay now you have the complete tool for your glam session! That mini ion applicator is very interesting. seems like the beauty box every woman should have! 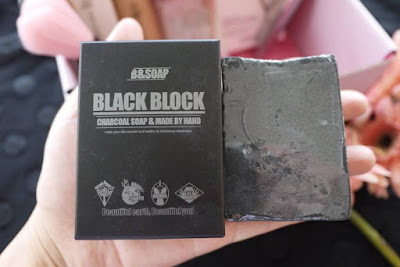 I really want to get my hands on some black charcoal soap and this one looks quite good. Wow! I'm happy for you with the things you got! I'm sure that your beauty will be more enhanced!